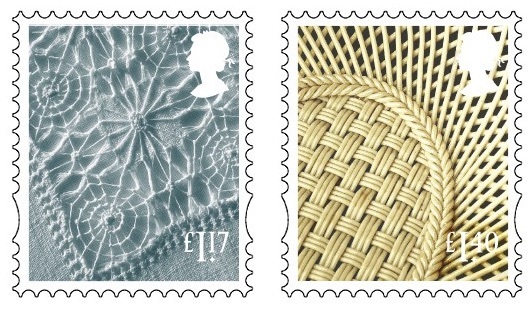 Courtesy of Royal Mail we can now show the stamps which will be issued on 21 March for the postage rates increases on 27th. I haven't seen any of these yet but the printing dates have been provided by somebody who has: there may be others, of course. The Country Definitives continue the existing designs (maybe time for a change, soon? 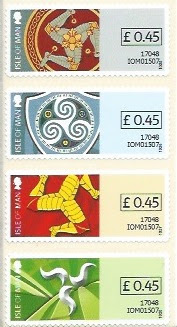 ), now reissued as £1.17 and £1.40 stamps for England, Northern Ireland, Scotland and Wales. As usual, these are studio designs, so they may not be exactly the same as the issued stamps. The reason I make this point is that all the face values on these are in the same format, with a new seriffed font, especially noticeable in the £ sign. 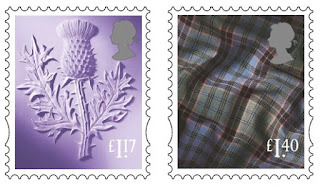 * Note also that images for the Scotland stamps show the value in reversed-out white, but the head in grey/silver. The £1.05 (thistle) has this pattern, but the higher (tartan) values all have both elements in silver. * UPDATE: With the stamps now to hand, I can confirm that the denominations on the Country Definitives are as shown in these pictures and are now the same as on the Machins. 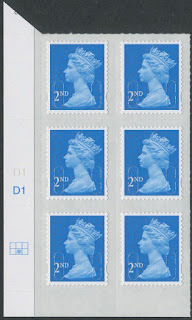 The stamps are printed from plates containing 8 sheets (2 rows of 4). In all cases the £1.17 is in columns 1 & 2, and the £1.40 in columns 3 & 4, all in both rows. The Machin definitives are a dreary-looking lot. Nothing at all bright and cheerful about the chosen colours. I'll provide pictures of the actual stamps as soon as I can (see below). Only then will there be any point in comparing with previously issued values. * Pasted from Royal Mail provided information - should have checked it, sorry! The £1.17 is the same colour as the 19p, 22p - and 1st class - orange. The £1.40 is the same colour as the 60p and similar to the 33p, but lighter. The £2.27 is more or less the same colour as the 28p, 50p, but a little lighter. Any other observations will be welcome! The typeface used for the face values is the same as on the current Machin definitives. Seems like somebody has visited a DIY Paint Gallery or a new car showroom - colour names courtesy of Dulux and Ford! How can that orange be red of any type - sunset, maybe, but it's orange, at least in these pictures. The Garnet Red of the £2.55 looks quite like the new 1st class - doubtless it is even more blue/black than it seems, but it's close, at least in these pictures. I know we can't have bright yellow, that failed with the 10½p, but the bright blue of the 36p and green of the 18p or 63p were so much more appealing. We'll be getting cylinder blocks and date blocks of these. Would any new customers who require blocks or other sheet positions please let me know by email as soon as possible so that we can obtain the right numbers. Thanks. A limited number of strips and single 1st class stamps will be available in our webshop when we actually have the stock. Singles and Collectors Sets are now available in our webshop. 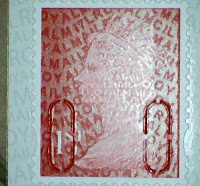 As with the earlier version without the logo, the Machin stamps are coded MA13. Windsor Castle retail book self-adhesive special stamps. Windsor Castle Machin definitives from retail and prestige books. More will be added to the shop as soon as possible including the promised 'X' and 'Y' series Machins. In the meantime our office will be closed from late Wednesday (1st) until next Monday 6 March. As regular readers will recall I missed last Autumn's Stampex so I was looking forward to a day out in 'the smoke', revisiting the Business Design Centre at Islington for Spring Stampex, an oportunity to meet up with old friends and to hear Royal Mail put some flesh on their previously outlined plans for new stamps for the rest of the year. 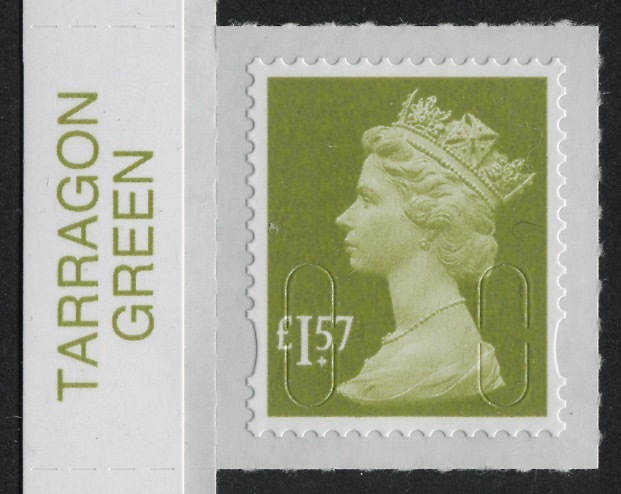 As usual there were the Post and Go machines with several new offerings, including two different inscriptions on the Machin head stamps. (This made up for not having any Machins last Autumn when the poppy stamp accompanied the ladybirds.) But by midday on Thursday there were not many people buying huge quantities. Dealers, of course, myself included pre-ordered our large stocks and picked these up from the Royal Mail counter. These are from back-office machine B001. One marks 50 years since the Machin portrait first made an appearance on definitive stamps (1967), and the other marks 65 years since the Accession of HM The Queen in 1952. The new set continued Royal Mail's 'Postal Heritage' series which started a year ago with the Heritage Transport set, with Mail by Rail (more details here). As well as the Royal Mail stamps, Guernsey Post, Jersey Post, and Gibraltar PO also had machines, and the most attractive set was of Guernsey Lighthouses. A little dark, but some attractive designs, including lighthouses on Alderney and Sark. 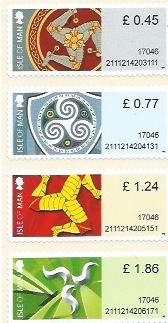 Newcomer to the 'machine vended postage' market is the Isle of Man Post Office. 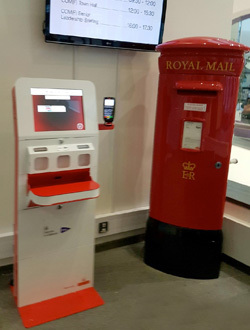 They haven't joined the 'Royal Mail Post and Go' group but instead are using refurbished machines from An Post, the postal service of the Republic of Ireland. A modern interpretation of the three legs of man. The stamps printed from this machine have - of course - a different datastring to the ones produced at the Bureau (it's not clear whether the values etc were printed by the stamp printed or afterwards in Douglas). 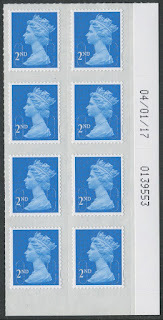 The Bureau strip has 4 different values, whereas the counter machine could produce four stamps at the basic 45p rate, a much cheaper option. Also, the counter stamps have the value in a box. The Royal Mail stand held few surprises. 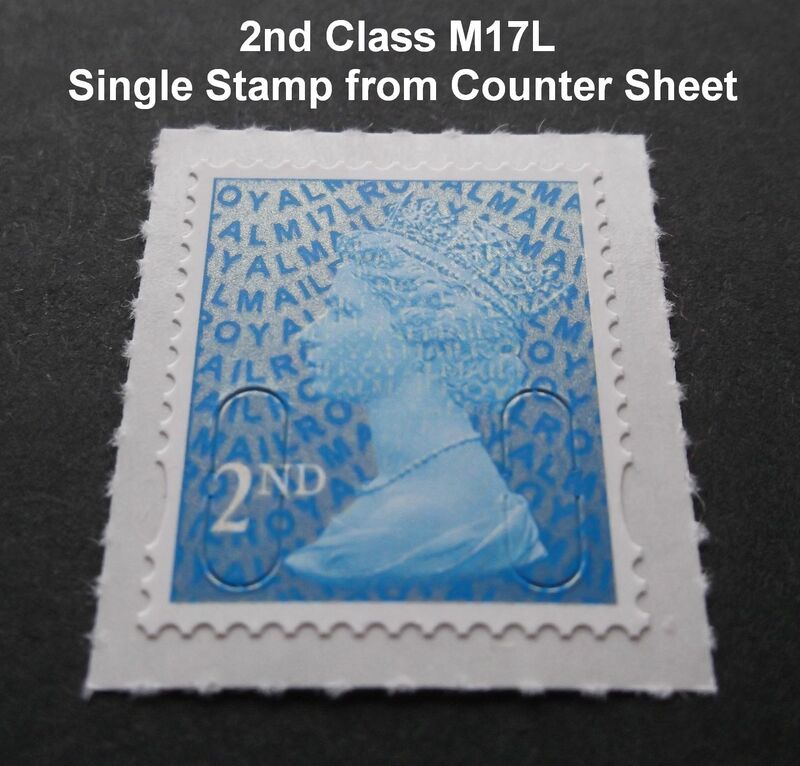 The stock included the 2nd class M17L counter sheet which will be available from our webshop shortly. I'm told the 1st class Wales country definitive from new cylinder 2 was also there. This is a new printing with the one stamp produced in 4 panes, so all 4 of the grid positions are 'white'. 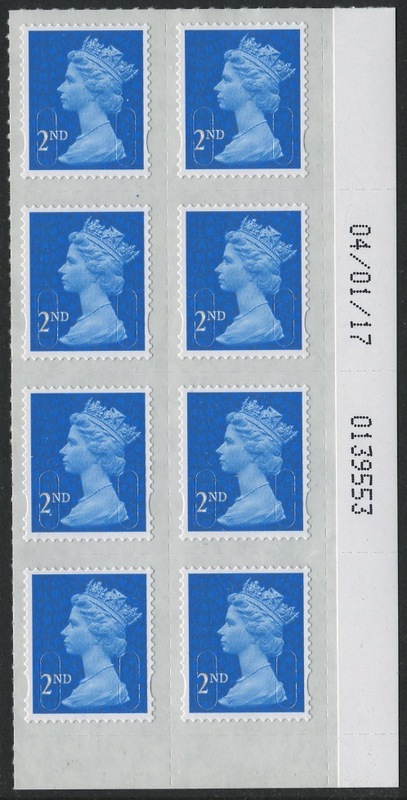 As in Spring 2016, Royal Mail produced a specially printed 'Stampex' version of the miniature sheet issued the same day. The sheet is provided in a special souvenir pack, and quite attractive, but as with all presentation packs, totally impractical for displaying. With a selling price 75% over face value not a 'must-have' for all collectors. As last year this is a limited edition of 6,000 sold only at Stampex, and once again I don't expect them all to have sold, even with some dealers picking up extra before the show closed. We will have a small number for sale on our webshop soon. Royal Mail have promised that (again as last year) this will not be repeated at Autumn Stampex, but it may be next Spring. But why? There is no evidence that this attracts people to the show. There is no proper head-count of visitors. And why would anybody incur the cost of going to the show when they can pick one of the sheets up from a dealer afterwards for a lower overall cost? This is simply a misguided initiative by people in the Philatelic Traders Society who are out of touch with the ordinary collectors of new Great Britain stamps. As usual I didn't have time to visit many, but did look at the Court of Honour display of Machin material, including original pencil sketches by Arnold Machin and the Cambridge University Colour Trials which were used to determine the colours to be used for the first of the new definitives back in the 1960s. Very impressive, though it would have been better with better lighting and more room - and maybe better signposting. Although it was the Court of Honour it wasn't highlighted on the floor layout plan in the catalogue - if you missed it, it was at stand 105 next to the Postal Museum stand. And what of the show overall? Well, I was only there from around midday until 5pm and 90 minutes of that time was spent in discussion with Royal Mail about the 2017 programme. The crowds were not as thick as in previous years though maybe not much different to last year. Go back 10, 20, 30 years and of course there were more visitors - there were more collectors then! As usual, the smaller dealers with smaller booths had more visitors: they concentrate on a range of collecting interests, especially the lower end of the market. As usual the auction houses and bigger dealers with bigger booths had fewer visitors: it didn't just look that way because they had more space, they concentrate on higher-end material for which there are fewer customers with fat cheque-books. But these companies pay more for their stands and contribute heavily to the cost of running the show, so we must expect a degree of 'white space' in the overall page. As with any show dealers will probably report mixed results. One UK-based dealer in mainly American material has written, "Just back from my most successful Spring London Stampex since my first one in 2007 .... and this with a fall in value of the Pound vs Dollar of 1/3 during the past decade." However, this comment from my fellow-blogger WhiteKnight is worth some thought! Read more of his thoughts here. Did you visit Stampex this time? What did you think of the show? Should the duration be reduced once again, to only 3 days? The announcement can be read here, and new rate tables for non-business use downloaded here. For people sending parcels with postage paid through Royal Mail Click and Drop, Royal Mail Online postage and online channels such as eBay, Amazon and PayPal postage rates are often lower but as that does not affect the price of stamps, or of postage from most stamp dealers, I will leave readers to find these out if they are interested. Inland 1st and 2nd class 100g rates up 1p to 65p and 56p. Rates for all other Large Letters increase, Small Parcels of 1kg, and 2kg 2nd class also increase but Medium Parcel and 2kg 1st class Small Parcel rates remain unchanged. The Royal Mail Signed For premium of £1.10 remains on Letters and Large Letters. Rates for Signed For Small and Medium Parcels are all reduced by 10p. New stamps will be required for all standard Letters. 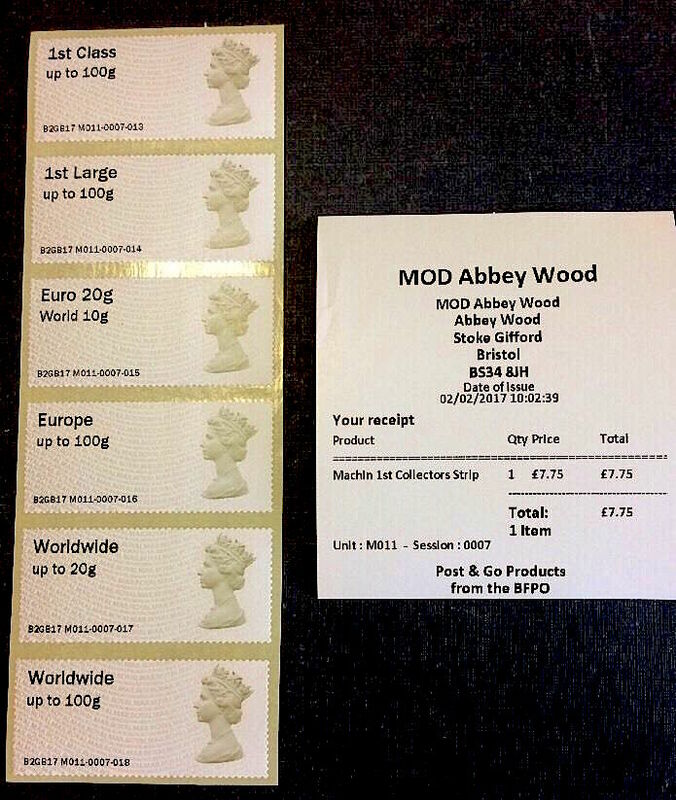 For Large Letters the Europe 100g rate rises from £2.45 - £2.55 which will mean a new stamp, while the 250g rate rises from £3.70 to £3.80 (there is no stamp for this rate). 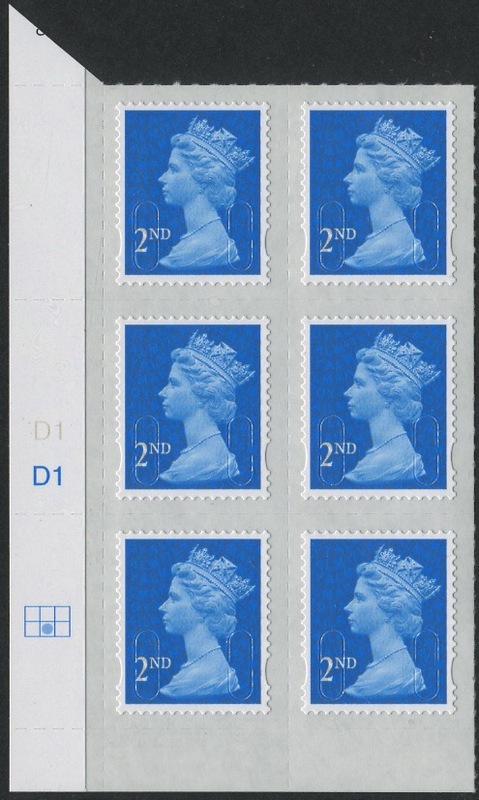 All other European and ALL Worldwide Large Letter rates remain unchanged so the £3.15 and £3.30 stamps should remain in use and we may see new M17L printings. Most of the Airmail Small Parcel rates will rise. The rates for International Tracked and Signed, International Tracked and International Signed Letters remain unchanged despite some increases in the standard rates. Rates for some Large Letter services are reduced while others remain unchanged. The changes to Small Parcels are a fine-tuning mix of increases, reductions and unchanged. Royal Mail no longer issues stamps for economy rates. Letters are increased by 12p from 90p to £1.02 up to 20g (a saving of 15p on a letter), and by 10p from £1.37 to £1.47 for up to 100g. Most rates for Large Letters and Small Parcels are increased although a few are unchanged. £1.17 - Letter: Europe 20g, Worldwide 10g and Postcard. £2.27 - Worldwide letter up to 100g. £2.55 - Europe Large Letter to 100g. There will also be 8 new Country Definitives, being £1.17 and £1.40 for each country. The cost of the new definitives if bought direct will be £19.24 plus Royal Mail handling charge. A cylinder block (6) of each will cost £115.44! The Post and Go Collectors strip of 6 will rise from £7.75 to £8.04, with the 2nd class pair rising from £1.30 to £1.32. 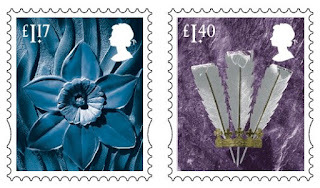 Sets of special stamps will increase accordingly, with the 10 x 1st Songbirds, for example, costing £6.50 instead of £6.40. One Post Office branch obviously doesn't want to keep special stamps cluttering up the safe for too long so they placed the David Bowie stamps on sale last week, possibly at the same time as the Windsor Castle stamps (or instead of?). 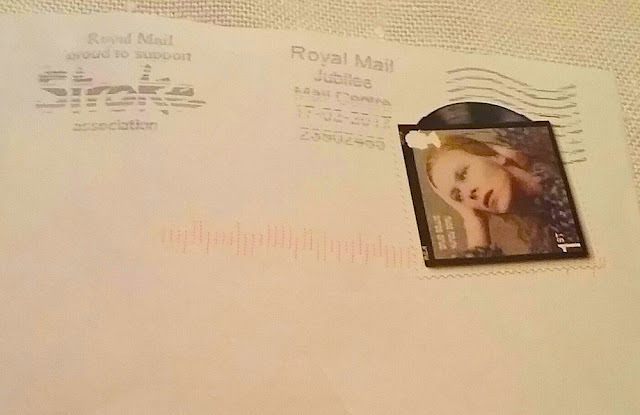 A correspondent has sent this picture of the Hunky Dory stamp with a Jubilee Mail Centre postmark of 17 February, although in this picture it looks a bit like 17-03-2017. The letter was sent from Sunbury-on-Thames (which doesn't necessarily indicate where the stamp was bought). At the time of writing this is the Earliest Known Use of a 2017 Bowie stamp. The machines are taking over - want any Wincor & NCR spares? A Monday morning chuckle. I'm sure all of you, especially those who use social media such as Facebook and Twitter, have at some time been amused by suggestions that the software makes to you regarding your viewing habits. Yesterday broadcaster Danny Baker reported that as he had mentioned Millwall FC several times, Twitter suggested he might like to follow West Ham United FC. I've turned off suggestions from Twitter because they continue to suggest foreign-language stamp-related users (I really don't have time to translate what they say, although I'm sure some of it is very interesting), and other newspapers and media outlets because I follow local radio. 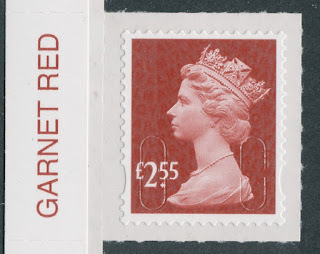 And if you look at the adverts that appear alongside this blog you will often see something that you have been looking for, or something about stamps. That's because Google Ads - everybody sees something different - can be related to the cookies on your own computer, cookies generated when you search for your next holiday flight or replacement microwave. If you own a website, especially one that shows in a prominent position on search-engine rankings, you often get spam email. 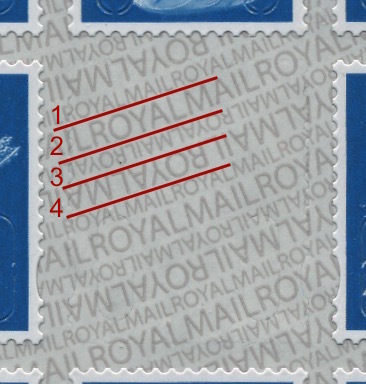 Most of this is related to improving your visibility, and correcting errors in the code, but some is related to the content on the website, but not stamps. For many years we have been getting emails, several times a year, offering us woven military badges - this probably arises from the Army/Navy/Air Force Uniforms sets of stamps. I had a new one today (twice) headed ATM Wincor NCR machine parts. It made me smile on a Monday morning, though I doubt that was the intention! Anyway, if your Post Office's Post and Go machine keeps developing faults, you can at least tell them where they can get spares! Royal Mail is pleased to announce that Mail by Rail (1st Class only) stamps will be available at STEAM GWR Swindon from 20 February until 15 March. Machine A005, currently situated at The Royal Marines Museum in Portsmouth, will be moving following a re-organisation at NMRN. The last day of sales at RMM will be 24 February. A005 will be relocated to the East Anglian Railway Museum, Colchester from 20 March. The location ID will be EARM and it will vend Locomotive and Union Flag stamp designs. Operational machine M011 is now live at MOD Filton Abbey Wood in Bristol. The MOD Open Day will be on 27 February §. Operational machine M005, currently located at Croydon Enquiry Office, will be relocated in the next month. Details of the new site to follow. § Note this is not an open Open Day; I understand it is for visitors from other parts of MOD visiting Defence Equipment and Support. 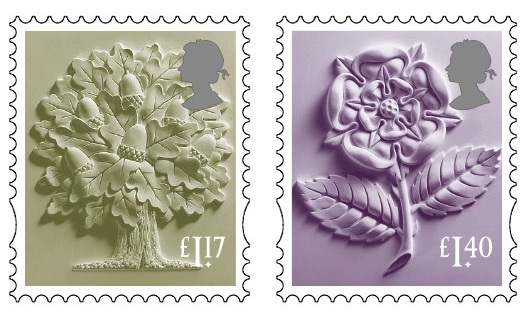 I believe an additional inscription will be added to the stamps for a period from 27 February. More details when we have them. 2017 Tariff Change may see some reductions - and increases! if the latest whispers are true. I'm told that the new rate stamps will be issued on Tuesday 21 March 2017. 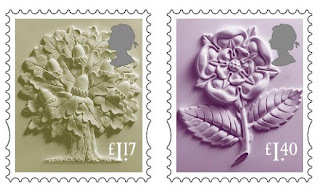 My correspondent, who has these new stamps on standing order from Tallents House, told me what the cost would be. Allowing for the handling charge, the total cost - including the country definitives if that rate changes - is less than £14 for the set. Back in 2015 the cost of the new worldwide airmail stamps (the postcard and basic rate stamp did not change from £1) totalled £14. So, especially if the current £1.05 increases, some of the new rates would result in stamps of lower values than at present. Now it may be that my correspondent is mistaken - but whatever happens, we can expect some new Machin definitives in March. Basic 1st and 2nd class rates will almost certainly rise, and as this will probably be on March 27th, it will make sense to buy any 1st class David Bowie stamps (issued on 14 March) before the rate goes up. And don't forget Post and Go prices will also change, so if there is anything in the machines - Mail by Rail is issued this week - catch them before the increase as well. An update to this has been posted on 24 February. Further comments there please. Don't follow Royal Mail's advice on this Valentine's slogan! After marking Saint Dwynwen’s day last month, Royal Mail celebrates St Valentine's Day on 14 February, but without actually mentioning the saint. A couple of days earlier might be a good idea, or Monday 13th at the latest! So late it nearly qualifies for an April listing, this Southampton MC use of the Valentines slogan on 30 March 2017 was sent to us by Robert - thanks! We would like to apologise to customers who have ordered the new £5 definitive stamp. Our initial supplies were lower than for a normal new stamp - such as are issued when the rates change in spring - as we expected these to be available from many more post offices than turned out to be the case. Consequently we have seen unexpected demand, especially for blocks. Our suppliers have also seen greater demand and have not filled this week's order, although we fully expect to have more supplies next week. So we will not be taking a lettuce leaf out of the supermarkets' books, and there is no restriction on orders - just a delay. UPDATE 10 Feb: Good news, more stock received including whole sheets and cylinder blocks. Bad news, every single lower right corner stamp was damaged by bad handling. Will supply cylinder blocks and sheets as soon as possible. All comments about non-availability on original thread, please - see above. Royal Mail has announced new plans to make it easier for consumers to post and return parcels at Customer Service Points in Delivery Offices nationwide. From April 2017, customers will be able to print off delivery and return labels at all of Royal Mail’s 1,200 Customer Service Points. 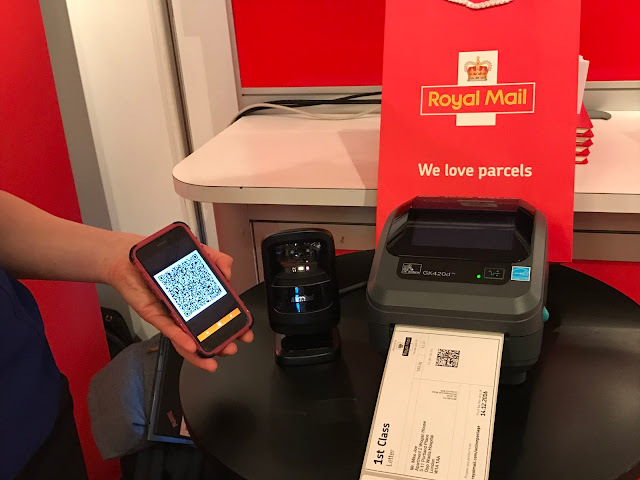 With the new self-service solution, Labels to Go, customers returning items online or buying postage online will receive an email containing a unique QR code. When this is scanned at a Customer Service Point, the QR code produces a postage label which can be applied to the parcel. Currently, customers returning items using the Royal Mail returns portal or buying postage online using Click and Drop are required to print the postage labels at home. But increasingly consumers are ordering, paying for, sending and returning items online. With over 50 per cent of UK shoppers using a mobile phone for their online purchases, customers will benefit from the convenience of being able to print postage labels and post their parcels at the same time. It will also save time and money as they do not need to have a printer at home. For businesses, this means even more convenient returns for their customers, high print quality of returns labels, and the visibility of Tracked Returns through the Royal Mail network. My thanks to John Enfield for pointing out my error in suggesting that this might impact - either way - on Post Offices. These are, of course, Royal Mail customer service points at Delivery Offices (DO). Most of us are not familiar with these - unless we have to collect undelivered or underpaid items. My local DO is very small, with the CSP about 8 feet square, so it doesn't immediately spring to mind as a place for posting anything, especially with the regular opening hours excluding the period from 10 am - 12 noon, the most likely time for a visit for many of us. The press release also includes a reminder that "The company also announced [last year] that customers will be able to send pre-paid parcels from Delivery Offices across the UK." Not being a regular visitor I have never seen this happen. Perhaps readers who visit larger offices can tell us what happens and the procedure. I can see how it would work for on-line prepaid parcels with a home-printed certificate of posting, but if stamps are used what do they use to cancel the stamps? For those few offices with Post and Go machines, what happens if you use P&G to send a parcel at a Delivery Office. All contributions welcome, especially with evidence of cancellation and/or receipts. Thanks! Thanks to Trevor we can report that a further BFPO Post and Go machine has been installed. M011 is now located at the Ministry of Defence offices at Abbey Wood, Bristol. Images provide so far show session 0007 session was on 2 February (last Friday) so it is quite possible that this was the first day of live operation. 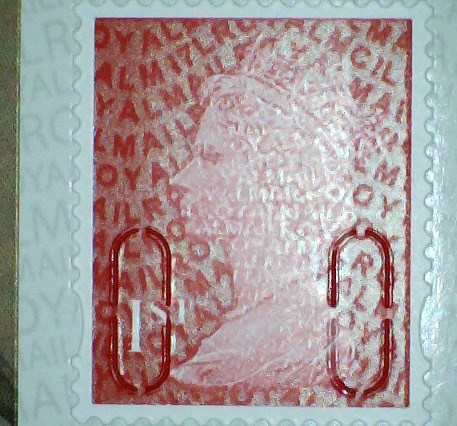 Both Machin and Union Flag stamps are available but it isn't possible to see the year code from the images. I'm indebted to JG for providing a photo of later output from M011 - session 013 rather than session 007 above which shows a much better receipt, with a graphic logo. DES = Defence Equipment and Support. 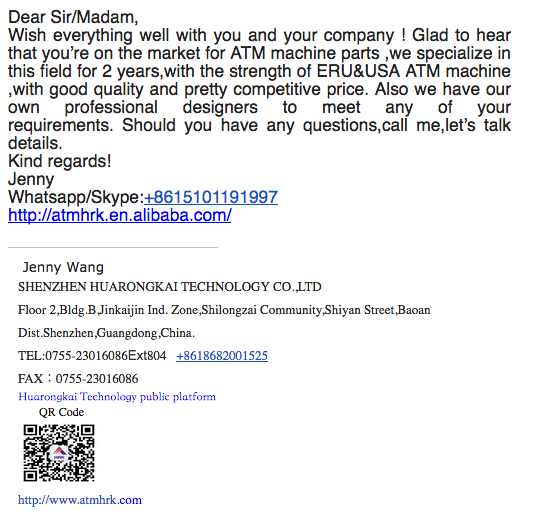 And Anonymous tells us that the Machin is MA13 and the flag is undated. Any customers who require examples of either, or just the 1st class, please let me know and I will try to help. UPDATE 27 FEBRUARY: Original stamps are now available on our webshop. 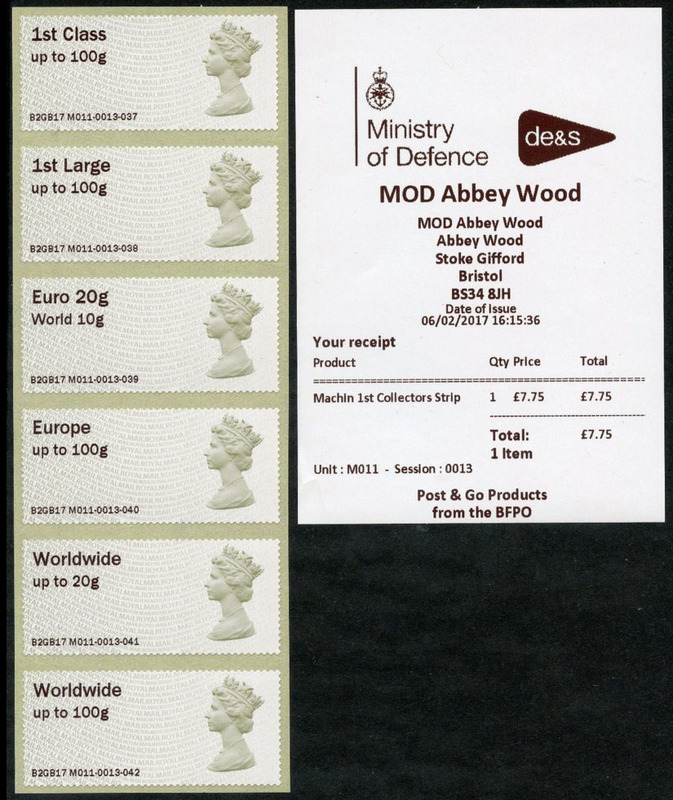 From today both types of stamps have the MoD DES logo - see here. 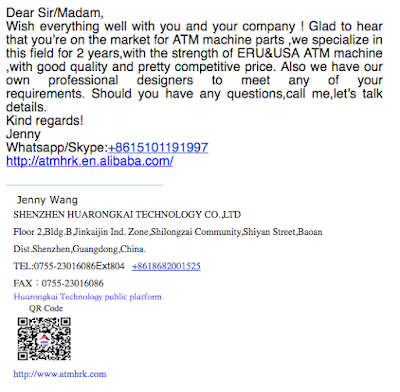 As we can see from the picture, this is one of the really slim machines. 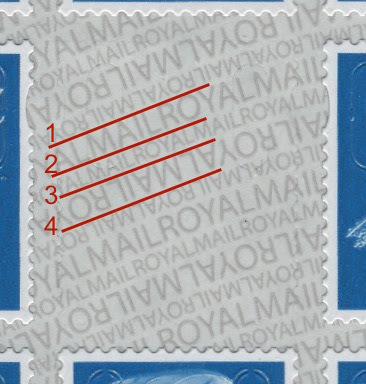 Last year we mentioned that Royal Mail had ordered a change to the security printing on the backing paper of self-adhesive stamps so that the paper could be used inverted without producing a variety. This would be achieved by printing alternate pairs of lines upside-down. If the paper had to be re-rolled, it would still be up the right way! We're calling this 'Security Backing Paper v2' or SBP2. 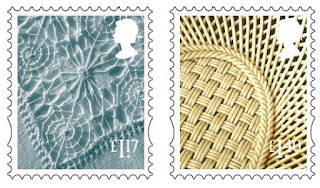 The March issue of Stamp Magazine reports that a 9 December 2016 printing of the 1st class counter sheet stamp is not only on backing paper with a security print (the first time for a counter sheet), but that it follows the described pattern. So this is two 'firsts': the first De La Rue counter sheet with security backing paper, and the first with the alternate inverted printing. The year code is M16L - it also appears to be in the new dark shade. If this proves to be the case these M16L stamps may be in short supply, in the light of other news below. 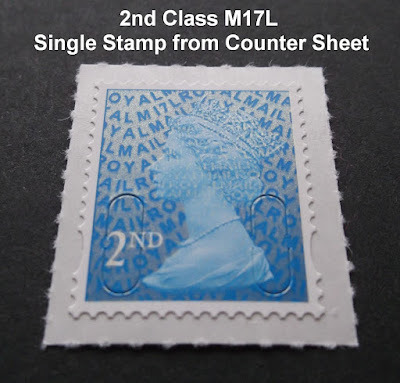 We also understand that there is a new December 2016 4 January 2017 printing of the 2nd class counter sheet, with year code M17L, so this would be the second stamp with a year 17 code: we don't have any confirmation that this has security backing paper, but it seems likely. 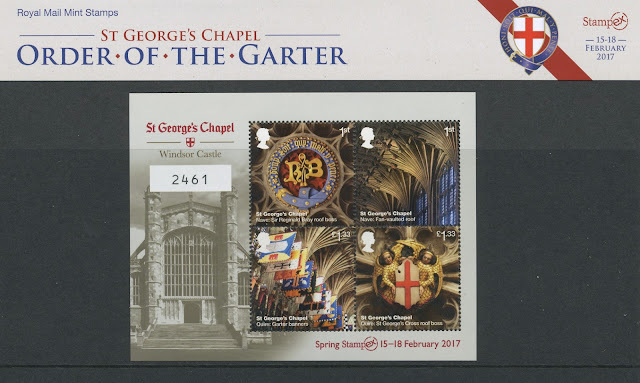 (The Windsor Castle booklet stamp already announced will be the third - probably!). UPDATE (later same day): the 2nd class counter sheet and business sheet have also been reported on new backing paper. The counter sheet may be the same 04/01/17 printing referred to above, but this has not been confirmed. The business sheet has M16L and a printing date of 15/12/16. UPDATE 9 FEB: As suggested by the para below the images, we don't have stock of ANY of these yet, only reports from readers. When we have them I'll list them in our webshop and provide a link and photos here. UPDATE 10 FEB: I now have some stamps from the 2nd business sheet with SBP2. These and others will be added to the webshop after Stampex - that way all the news stamps will be added at the same time, and customers won't be tempted to order one and then another on separate orders. Obviously this can be manipulated for any individual stamps, but it will be interested to see if any booklets, business sheets or counter sheets turn out to be on inverted paper! More information and pictures as soon as we have them ! And if you find them first, contact details for your pictures are at the top right.